'Bearpen Lodge' on 125 Acres - Near Belleayre Mtn! Property 5: 'Bearpen Lodge' on 125 Acres - Near Belleayre Mtn! Modern classic log home,16acres ,creek, pond, trails! Property 9: Modern classic log home,16acres ,creek, pond, trails! Cozy cabin with great views and fire place! Property 12: Cozy cabin with great views and fire place! NEW! Catskill Chalet Cabin Near Belleayre Resort! Property 16: NEW! Catskill Chalet Cabin Near Belleayre Resort! Breath taking views from this mountaintop log chalet 10 minutes from Bellayre. Property 26: Breath taking views from this mountaintop log chalet 10 minutes from Bellayre. Relax and rejuvenate in nature with steam spa,sauna, yoga deck and tipi! Property 28: Relax and rejuvenate in nature with steam spa,sauna, yoga deck and tipi! Charming Cottage In The Catskills. Ski, Golf, Hike, Bike And More. Property 32: Charming Cottage In The Catskills. Ski, Golf, Hike, Bike And More. Renovated Roxbury Home w/ Mtn Views & Large Deck! Property 33: Renovated Roxbury Home w/ Mtn Views & Large Deck! Redesigned Catskill Cabin - Close to Venues, Ski, Hiking, Biking, Swimming! Property 37: Redesigned Catskill Cabin - Close to Venues, Ski, Hiking, Biking, Swimming! Catskill Contemporary Retreat - Dream Awaits!! Property 39: Catskill Contemporary Retreat - Dream Awaits!! Designer Kitchen-Views/Fire Pit. Skiing avails! Wedding venues 4-8 miles away! Property 40: Designer Kitchen-Views/Fire Pit. Skiing avails! Wedding venues 4-8 miles away! Property 44: ELEGANT LOG HOUSE!!! Cozy Cabin with Huge Deck! Property 45: Cozy Cabin with Huge Deck! SKI HUNTER/WINDHAM 15 MINS AWAY! !PRIVATE WATERFRONT ON 6 ACRES! SWIM/FISH/KAYAK! 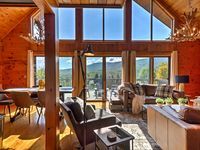 Property 50: SKI HUNTER/WINDHAM 15 MINS AWAY! !PRIVATE WATERFRONT ON 6 ACRES! SWIM/FISH/KAYAK! The lovely cottage in Arkville has become my home away from home! Rich and Lin are wonderful. I hope to get away as often as I can to my little home. The house was wonderful, and the guest contact was extremely friendly and helpful. Would recommend to anyone looking for a relaxing weekend away.